Emily Orr began drafting and sketching for hours each day, doubtful that she would succeed. Twenty-four days and 80,000 views later, Orr knew she produced something worthy of her senior showcase. 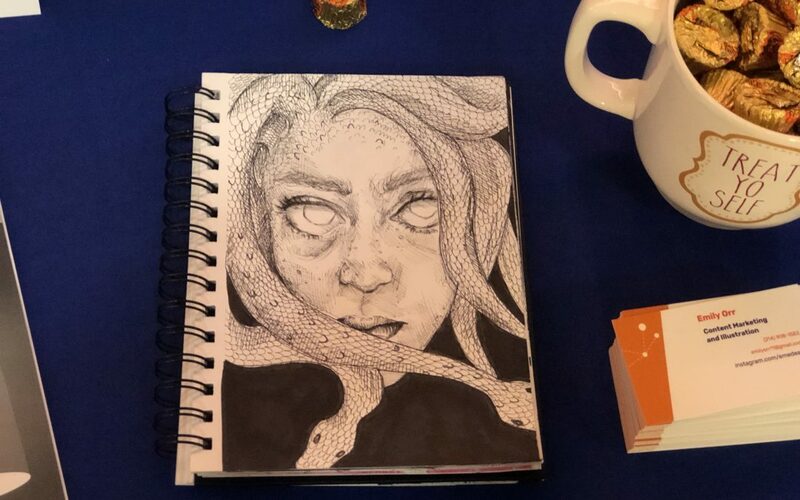 Orr set out to create and advertise her comic book, Medusa and Perseus, and present it at the Senior Showcase on Thursday. 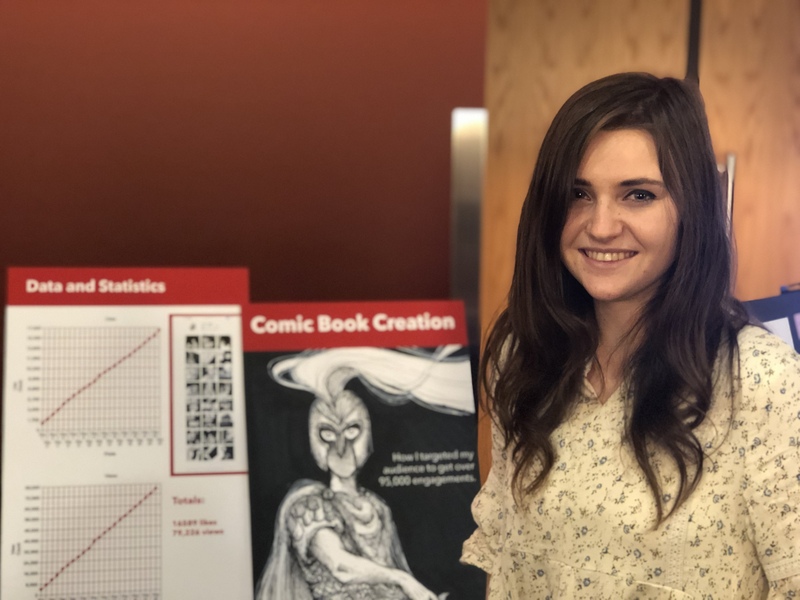 Orr, a senior studying communication with an emphasis in visual communication, decided she wanted to take her love for Greek mythology and apply it to something that would reflect her own art style. The characters in the comic book are Medusa, a monster with venomous snakes for hair that turned anyone to stone who looked at her and Perseus, a Greek hero famed for killing monsters such as Medusa. The story is a twist on the original Greek mythology tale. Orr values a traditional art style which includes hand drawings and paintings. She took pride in drawing each page of her comic book from scratch. “It took anywhere from two to four hours each day to finish a page,” Orr said. 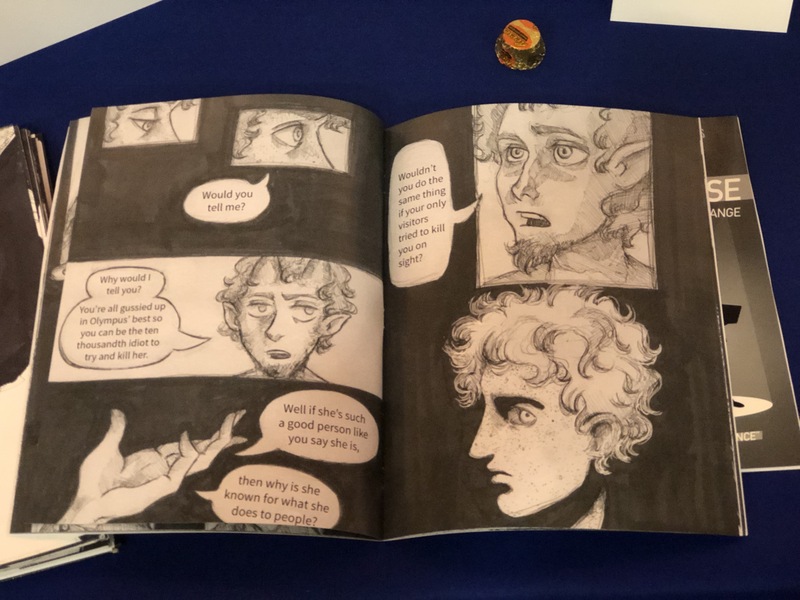 As another part of Orr’s project, she posted a new page from the comic book on Instagram each day for 24 days. She monitored the views and impressions from people. Orr engaged more people by posting personalized hashtags. She monitored the engagements on her posts and revised the hashtags to accompany more people. By the end of 24 days, Orr’s posts totaled about 80,000 views and 17,000 likes. The display for Orr’s project showcased a chart, cover photo and hard copies of the pages she created. The pages showed the scales of the snake on Medusa’s head effortlessly aligned with the one next to it, reflecting Orr’s attention to detail. Smudged pencil created shadows and facial features on Perseus’s face. After Orr graduates, she plans to work for a marketing company while still drawing and creating art projects on the side. Above all, Orr cherishes her personal growth as a result of her project. “I didn’t think I could finish something so intense,” Orr said. “I proved to myself I could and it makes me excited to create more in the future.